The Pembroke Welsh Corgi is a playful breed with an intriguing past. According to Welsh folklore, this breed originated from the lairs of woodland elves and fairies. On the contrary, researchers believe that Vikings brought Pembroke’s to Whales during the 9th and 10th centuries. Whichever legend you choose to believe, what we do know is that the Pembroke Welsh Corgi has been around for quite some time. This small, compact dog was not only a great companion but also a fantastic herder as well. Due to their petite size and sturdy built, they could successfully nip the heels of cattle without getting injured in the process. Many Welsh farmers viewed this trusted partner as an important assistant when it came to daily tasks on the farm. The Popularity of this breed sprung in 1933 when King George VI of Britain gave a corgi puppy to his daughter, Elizabeth. Queen Elizabeth loved this breed, which sparked an interest among citizens across the entire country. Three years later, the Pembroke Welsh Corgi finally made their way to the United States. Today, the Pembroke Welsh Corgi has increased in popularity and is now one of America’s favorite household pets. Energetic, loving, and sociable- the Pembroke Welsh Corgi has an even temperament that is loved by all. Majority of the time, you will see this breed smiling from ear to ear, just happy to be in their owner’s presence. A Corgi thrives from human interactions and needs attentive parents that can provide them with plenty attention. Whether it’s working on their obedience training, engaging in outdoor activities or becoming a service dog, the Corgi is capable of doing it all. They’re highly intelligent by nature, which makes them a great candidate for different activities. This is especially important considering they can easily become bored if they do not have enough activities to do. From there, the playful Pembroke Welsh Corgi behavior will turn stubborn and destructive. Make sure your Corgi is always mentally and physically stimulated on a daily basis. Long walks, hiking, or a game of fetch will keep your Corgi’s mental state in check. This breed is not one to just sit on the couch all day long. The typical Pembroke Welsh Corgi Personality loves to be a part of all family activities, and always expect to be the center of attention. The Corgi is a delightful breed to train. Their high intelligence makes training efforts a breeze, and they also tend to retain what they’ve learned quite well. Simple commands can be easily picked up, and further challenges will be necessary to keep them interested. An excellent way for the Pembroke Welsh Corgi to further their skill set is by engaging in obedience training, lure coursing, and agility training. These activities are a great way for them to exert some built-up energy, all while sharpening their intelligence. Even though the Pembroke Welsh Corgi is an easy breed to train, that doesn’t mean they lack all faults. For starters, they tend to have a mind of their own. They can be independent thinkers that do whatever they want. This can come across as stubbornness, especially during the training process. Corgis are also known to be a sensitive breed, which should definitely be considered while training. Just like with children, if a Corgi senses their parents are mad or frustrated with them, they can easily become emotionally distressed. Once endeared for their impressive stamina and concentration, the Pembroke Welsh Corgi is a working breed that requires plenty of physical activity. A quick walk around the block is not going to cut it for a Corgi. Make sure they are getting a lengthy walk or run on a daily basis. This breed is also prone to obesity if not properly exercised. Avoid any health complications by providing physical stimulation. As said before, Corgi’s need a mental workout as well. Try incorporating engaging activities that your pet will be challenged by. Games, coursing, and playtime with other canines are all beneficial activities to engage your pup in. Pembroke Welsh Corgis typically have a lifespan of 12 to 14 years. Are Pembroke Welsh Corgis a Popular Breed? The Pembroke Welsh Corgi has been a favorite ever since their introduction to America in 1936. Families and pet owners alike appreciated their loving nature and impressive intelligence. However, in recent years, the Pembroke Welsh Corgi went through a period of decline. At one point, this breed was even considered to be threatened by extinction. Then in 2015, Corgi videos went viral on social media platforms, which then increased their popularity yet again. Today, the Pembroke Welsh Corgi is ranked as the 18th most popular breed in America by the AKC. When it comes to your Corgi’s health, make sure to feed them high-quality and nutritious food. Look for labels that have wholesome and natural ingredients- try avoiding products with soy, corn, or wheat fillers. According to professionals, a Pembroke Welsh Corgi should consume ¾ to 1 ½ cups of food every day, split into two separate meals. Known to be glutinous by nature, make sure to monitor your Corgi’s food consumption. They will take any opportunity to overeat the second their owners aren’t looking. Since they have a tendency for developing obesity, make sure to always measure out the proper portion of food. Now it’s also important to note that each dog is different. 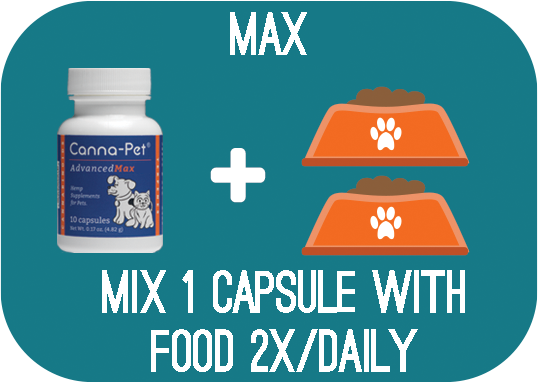 Consider your dog’s weight, age, metabolism, and activity level when creating an appropriate feeding regimen. For professional assistance, consult with your veterinarian. Known for their thick and fluffy double coat, the Pembroke Welsh Corgi requires quite a bit of grooming. This breed continuously sheds, which worsens twice a year. To mitigate their shedding, make sure to brush them at least once a week. When they are going through their seasonal, heavy shedding period, professionals recommend daily brushing to lessen its severity. Some pet owners find regular bathing to also help reduce the shedding in their Corgis. Aside from regular brushing, a Corgi requires several other grooming tactics for optimal health. They need to have their teeth brushed once a week to reduce the risk of gum and dental disease. Along with their weekly cleaning, make sure to check their ears, nails, eyes, and skin for infection. Lastly, a Corgi’s nails will need to be trimmed once every two weeks to prevent breakage or infection. Are Pembroke Welsh Corgis Good with Children? Although this breed is gentle and loving, most people would not suggest a Pembroke Welsh Corgi for a household full of small children. Since they are apart of the herding breed, they are used to chasing and nipping everything and anything that moves, including small children. However, do not lose all hope just yet. Some owners have still managed to make this relationship work through persistent training efforts. If you are able to socialize your Corgi at a young age and teach them how to interact in a family setting, then you will have a better chance at keeping the peace in your household. Also be sure to teach your child how to interact with your pet. Both your dog and child have to have respect for one another in order for the relationship to work. Establishing these boundaries from the very beginning will allow a Corgi and child to become unbinding companions. Hip Dysplasia: This malformation of the hip joint restricts the thighbone from properly fitting how it’s supposed to. Hip Dysplasia is inherited and is known to cause discomfort, lameness, or immobility in many breeds. This health complication normally affects one or both of the rear legs and is diagnosed through x-rays and physical examinations. Cutaneous Asthenia: This health complication causes defective connective skin tissue to become loose and stretchy. Cutaneous Asthenia also affects blood vessels, which increases bruising and blistering. Cataracts: Cataracts are a common eye problem that is inherited in many breeds. Cataracts develop in dogs when the lens of the eye becomes fogged over or opaque. This will affect the dog’s vision, which will range in severity. When loss of vision occurs, surgical correction may be necessary. Epilepsy: Epilepsy is the number one cause of seizures in dogs. This neurological disorder does not have a single known cause, however, it has been correlated with brain trauma, toxins, kidney disease, liver failure, and brain tumors. When a dog is diagnosed with Epilepsy, their prognosis can be quite positive if treated early on. Intervertebral Disk Disease: Intervertebral disc disease (IVDD) occurs when the cushioning intervertebral discs between the vertebrae of the spinal column become displaced, deteriorate, bulge out, rupture, or burst (herniate) into the spinal cord space. IVDD causes pain, nerve damage, and in severe cases, paralysis. Progressive Retinal Atrophy (PRA): PRA is a gradual deterioration of the retina. Symptoms begin when the dog has difficulty with their vision at night. PRA progressively worsens until the dog loses complete sight. Since this is a gradual loss of vision, most dogs are able to adapt quite well to blindness. National breed website: Pembroke Welsh Corgi Club of America, Inc. Since starting Canna-Pet he seems so much more comfortable and his tummy has calmed down greatly. Overall, a great product and Dally is an avid supporter! Since I have been giving him Canna-Pet treats every night I can see a huge difference in this mobility and comfort.